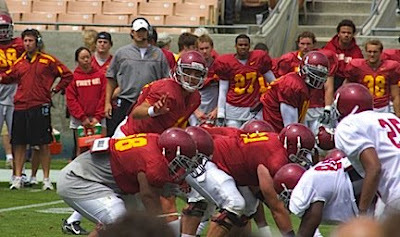 Our tour of spring drills would not be complete without a stop at the L.A. 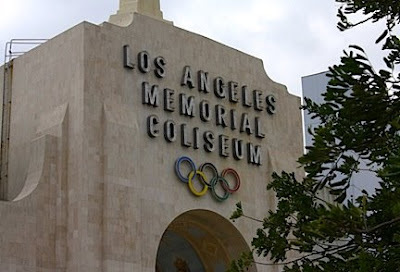 Coliseum, home of the USC Trojans. 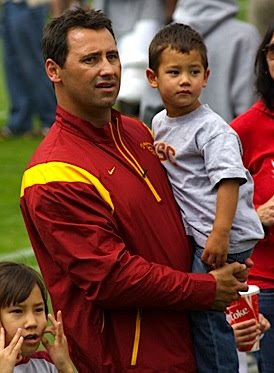 Offensive coordinator Steve Sarkisian, left, had a difficult decision this spring, having to choose between Mark Sanchez or Mitch Mustain as the starting quarterback. Sanchez eventually won the job, but Mustain, who is eligible after transferring from Arkansas, showed his progress in the April 19 spring game, which drew a crowd of 22,000. Sanchez, above, completed 16 of 24 passes for 203 yards and three touchdowns and Mustain, below, completed six of 10 for 111 yards and two scores. Mustain, who was 8-0 as a freshman starter at Arkansas in 2006, made his intentions clear after the scrimmage. “I didn’t come here to be a backup,” he said. 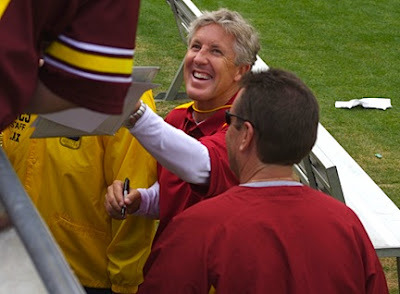 Pete Carroll greets fans and signs autographs after the scrimmage. 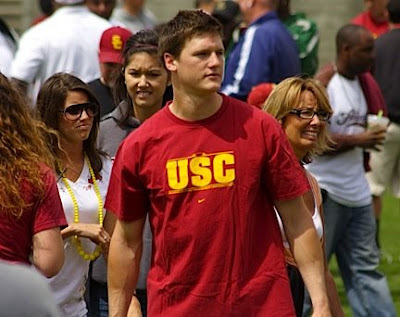 It’s important to keep your eyes on the sidelines at Trojan events. 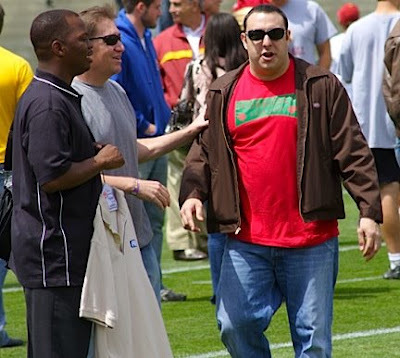 That’s former USC tailback Petros Papadakis making the rounds. 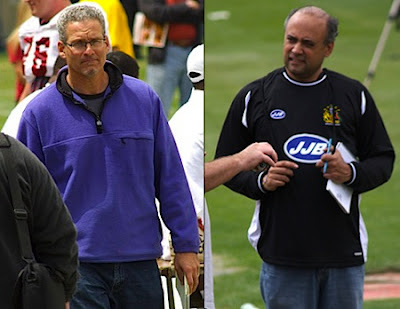 Papadakis is host of a local radio show in L.A. and is a color analyst for Pacific 10 Conference games on Fox Sports Net. 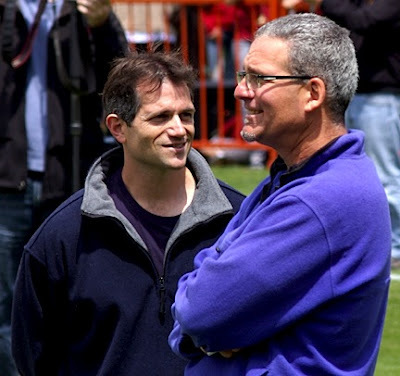 Gary Klein of the L.A. Times and Scott Wolf of the L.A. Daily News patrol the sidelines. Bruce Feldman of ESPN.com and ESPN The Magazine talks with Klein during the closing minutes of the scrimmage.